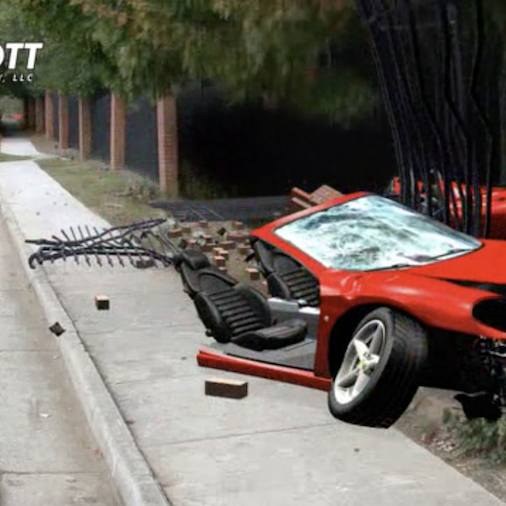 Knott Laboratory provides forensic engineering and animation, Civil & Structural, and Fire & Explosion Investigation services to reconstruct accidents. 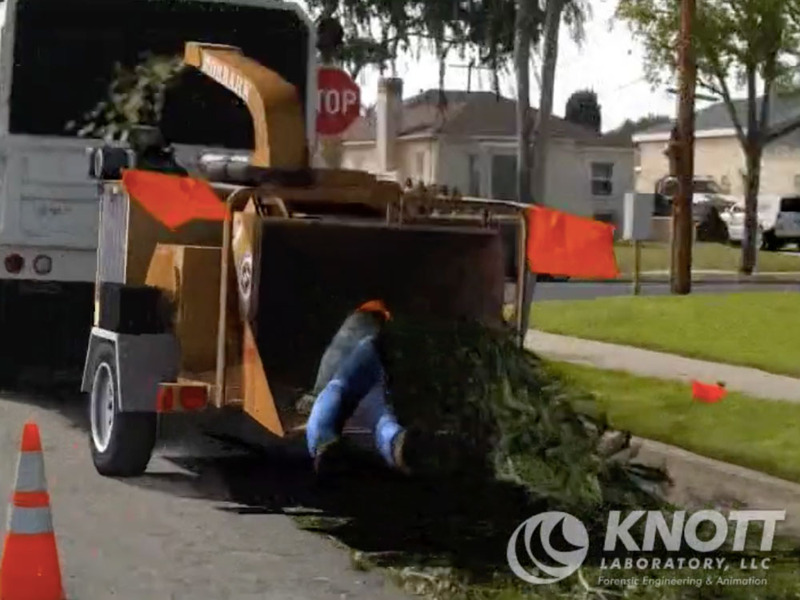 Wood chipper operators are seconds away from potentially fatal circumstances so safety devices are essential. 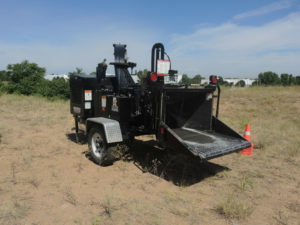 Wood chippers present a unique issue in safety guarding. With operators just seconds away from potentially fatal circumstances, safety devices must be in place to allow the user to stop or reverse the feed mechanism at a moments notice. 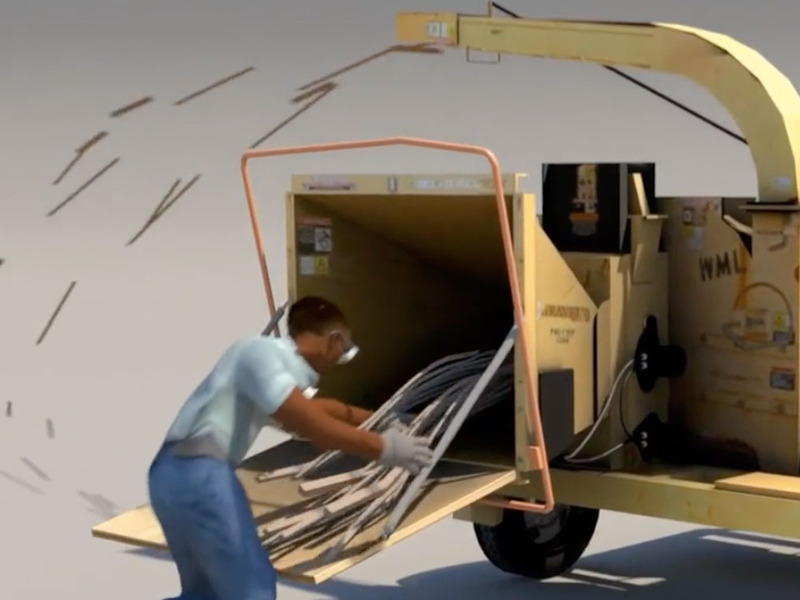 However, manufacturers are hesitant to design safety devices that could potentially slow down chipping operations if the device were too often unintentionally activated by branches or logs entering the mouth of the chipper. 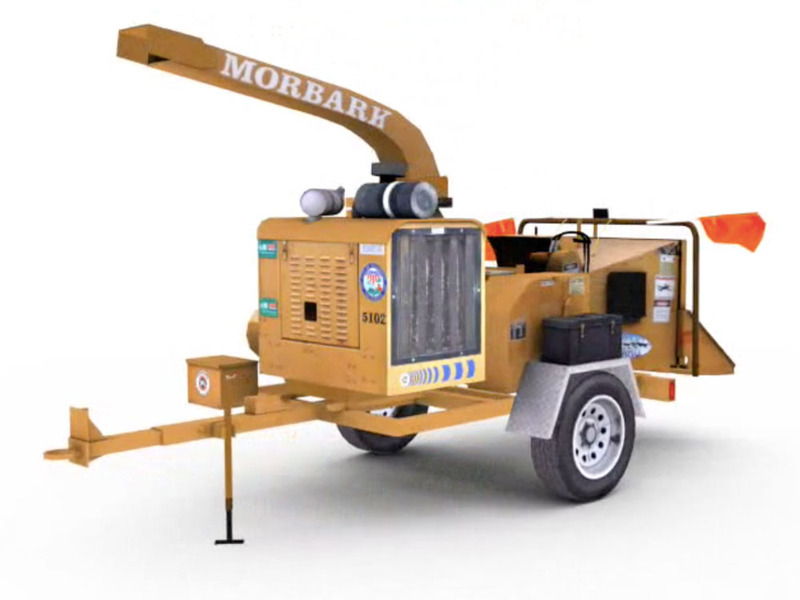 Common wood chipper safety devices include upper feed stop bars, bottom or knee feed stop bars, three-sided feed stop bars, and hanging feed stop cords. The accessibility of the various safety devices becomes paramount in an emergency situation. 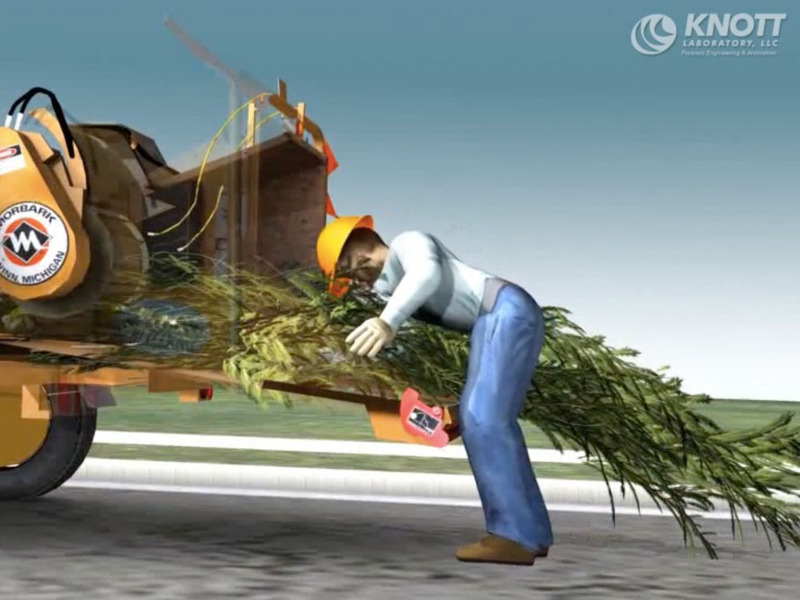 All too often operators become entangled or caught on branches being fed into the chipper and are unable to activate a safety device in time. The experts at Knott Laboratory have been published in many engineering journals. While most of these essays are quite detailed, these short abstracts express a summary of the overall papers that were published. Our forensic engineers are experts in accident reconstruction, failure analysis and cause & origin. Our forensic engineers work directly with our in-house animation department to create state-of-the-art forensic animations for use in court, arbitration, mediation or settlement negotiations. Ricky L. Nguyen, M.S., P.E. 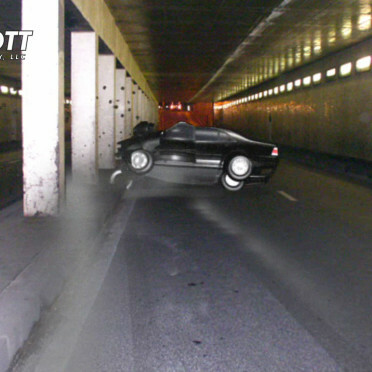 Since 1982, Knott Laboratory has been providing comprehensive forensic engineering and computer animation services to reconstruct accidents. I want to express our continued admiration for the quality of Knott Lab’s work both in accident reconstruction & in the preparation of demonstrative evidence. On the basis of your deposition testimony & the animation of the accident, the defense admitted the negligence of their employee, that it was the direct cause of the plaintiff’s injuries. I wanted to personally thank you for all of your hard work and dedication in helping to get the case successfully resolved. If not for your hard work, your expert opinions and your keen analysis on this case, we would never have been able to settle it for the amount and/or in the time frame in which we did. It was truly a team victory. [Richard,].. Your assistance in the case has been invaluable. I am very pleased that you were able to rebut the findings of the two State Police officers and the defendants expert. No one else was sharp enough to focus on the oil spill in the photos and it was gone when the State Trooper did his final report. The work you did on the case was outstanding. Prior to going to the mediation, we sent your animation of what occurred to the defendants. I truly believe that your animation allowed the defense to see exactly what happened which, in turn, allowed them to appreciate their liability. Regardless, I think your work was outstanding and want to thank you. I am a Community Association Manager and have had a few opportunities to work with Knott Labs and each time I could not be more impressed. They are very professional and down to earth, they really take into account their client and want to do what is best for them. When I need an engineer Knott (Cade) is always the first call I make! 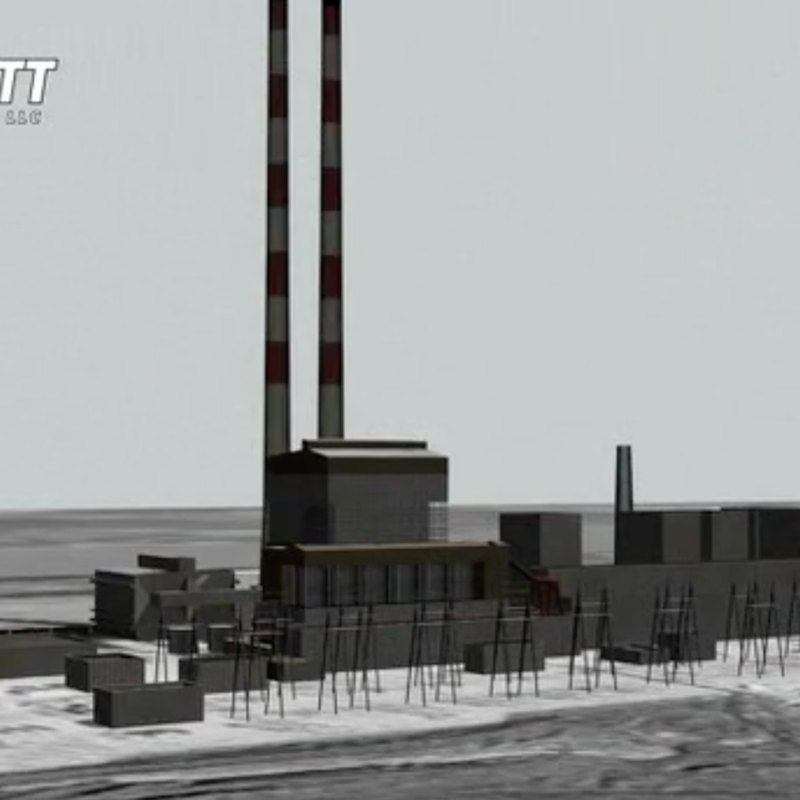 Knott Laboratory has become the leader in forensic engineering and computer animation by investigating high profile cases and conveying our analysis effectively during litigation. 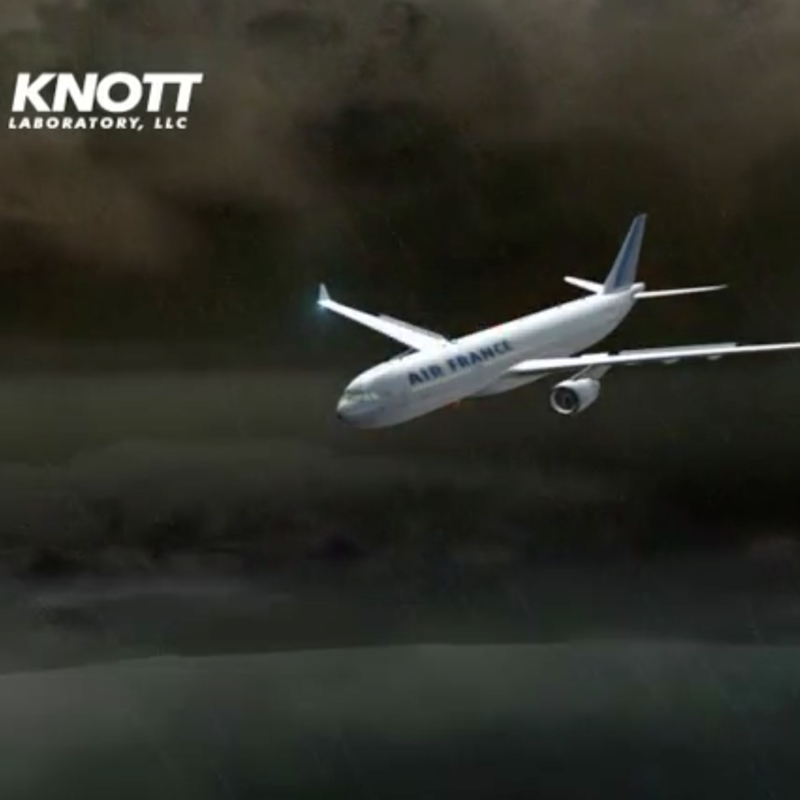 Knott Laboratory provides forensic engineering and animation, Civil & Structural, and Fire & Explosion Investigation services to reconstruct accidents. 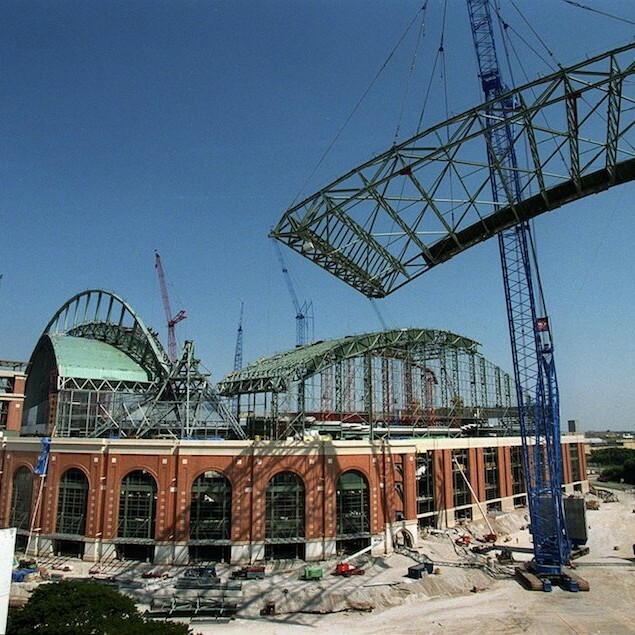 Our engineering experts have extensive courtroom experience and clearly explain complex concepts. Knott Laboratory is headquartered in Centennial, CO with satellite locations in Colorado Springs, Fort Collins, Grand Junction, Oklahoma City, Houston and San Antonio. You can get Knott Laboratory started on your new case or claim by filling out the following form. If you have a claim number and date of loss, please include that in the description field. If you have any questions, don’t hesitate to give us a call at (303) 925-1900. We look forward to hearing from you. © 2018 Knott Laboratory,LLC. All rights reserved. Website Development, Search Engine Optimization & another great experience online by Rounded Digital. Denver, Colorado.